Location: Egan Center, La Perouse Hall, at ICRA 2010, Anchorage, Alaska. NOTE: This is a new location. This full day tutorial will teach participants how to use ROS in their robotics research and development work. Hands-on exercises in simulation and with a physical PR2 robot will provide experience with existing ROS software, as well as an opportunity to write new code. Leaving the tutorial, attendees will be familiar with the ROS tools and several of the major functional components. The primary audience is robot software developers and algorithm researchers. The secondary audience is human-robot interaction researchers, educational groups, robot competition participants, and commercial application developers hoping to become more productive. This is a hands-on tutorial, with programming exercises in Python. Attendees need not be expert Python programmers, but they should be familiar with the basics of writing Python code. Attendees need not have prior experience with ROS, though they are encouraged to familiarize themselves online documentation. The motive for this tutorial is to introduce and teach usage of ROS, a well-supported robotic application development environment and repository of functionality. This tutorial is designed to bring attendees to a point where they are able to use ROS in their own work and to participate in the ROS community. ROS includes modules written by expert practitioners in a variety of fields, including mapping, control, planning, and perception. All code is freely available for robotics researchers or entrepreneurs to use and build upon. Many third-party packages used by ROS, such as Player, Stage, and OpenCV, can be used alone, without being embedded in ROS. 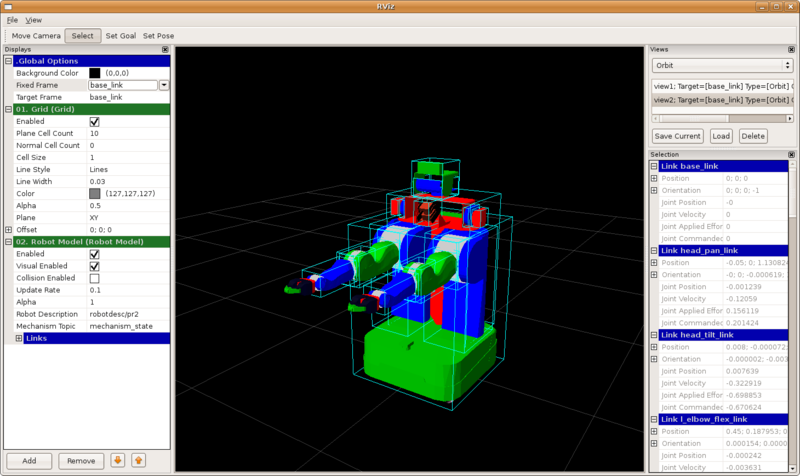 ROS is intended to be portable across many robots. With ROS, we want to reduce the re-invention of common functionality and allow people to share and build on new functionality through a free and open infrastructure. By providing a software platform that facilitates self-publishing of research code, we aim to improve scientific practice. It is hoped that as more people in the community use ROS in their research, it will be easier to check and share results and more easily collaborate using this open and free platform. In the first part of the day, you'll learn the basics of using ROS. What is ROS? What problems does it solve? Introduction to basic concepts and tour of key features. Use turtlesim to get a hands-on introduction to ROS command-line, visualization, and debugging tools. Manipulate coordinate frames with tf, and control time-extended behaviors with actionlib. Get to know the PR2 mobile manipulation platform. Learn how to bring up a PR2, both physical and simulated. Teleoperate the robot and visualize sensor data. In the second part of the day, you'll use ROS to make a robot do a task that integrates perception, planning, and control. While the exercises will use a PR2, most of the material is relevant for any robot that runs ROS. Learn how to integrate ROS with OpenCV to do image processing on data from the PR2's cameras. Apply OpenCV algorithms to find objects. If you have ROS working on your laptop and want to try out the chessboard detector, you can download this bag (data) file (Large: 316M). Learn about the ROS navigation stack, which can safely drive the robot's base to a goal location, avoiding obstacles. Learn how to control the PR2's arms, using inverse kinematics to move the gripper to an object and pick it up. 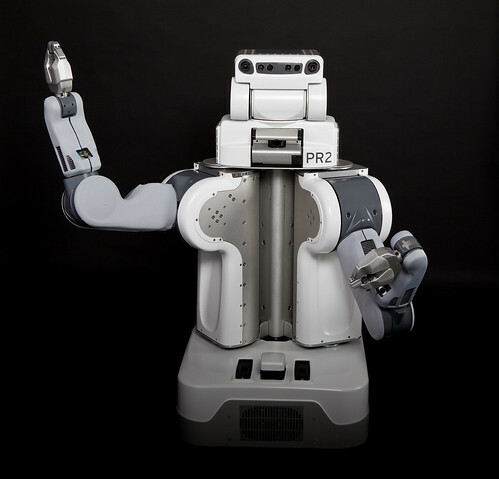 Extend your work and experiment with ROS and the PR2. Most likely, no. The material we have designed is very hands-on with very little lecture. We expect that the bulk of the session will involve hands-on time with a robot.